You lug the 500-page “Pokémon Essential Handbook” around with you everywhere somehow managing to memorize the stats and facts of over 800 characters — including their powers and evolutions! It’s really kind of mind blowing. Grey and I spent a whole morning commute trying to stump you and couldn’t! With every random page we’d open you’d blurt out all the character’s qualities while we looked at each other in amazement. “Do you think I can get into the college where Pow Pow went?” you asked me recently. Well, I can tell you that your ability to memorize 500 pages of facts in a short time certainly won’t hurt! 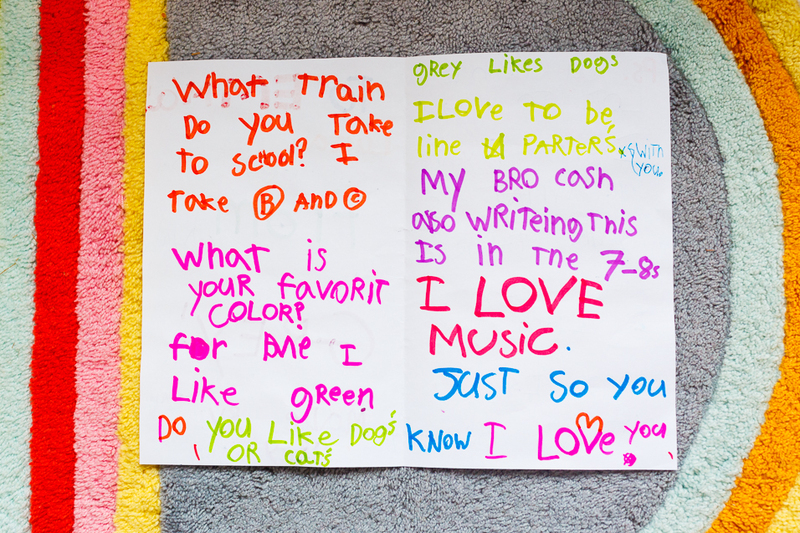 Your writing skills are also quite impressive for someone your age and you recently used them to help Grey compose a love letter for Emma Lucia, alternating between asking questions and sharing little tidbits about Grey. You caught me by surprise and delight, not only because of your handwriting, but because the back and forth dialogue showed a level of maturity as well as a genuine interest in another person. And let’s not forget you were helping out your little brother so that really touched my heart. It will happen soon — before you know it. That’s my promise. Hanging on the wall in Grey’s classroom is a list of all the things that everyone is thankful for this year. I was so touched to read Grey’s comment because it’s obvious I’m not the only one who is thankful for you Cash. You are special to all of us.